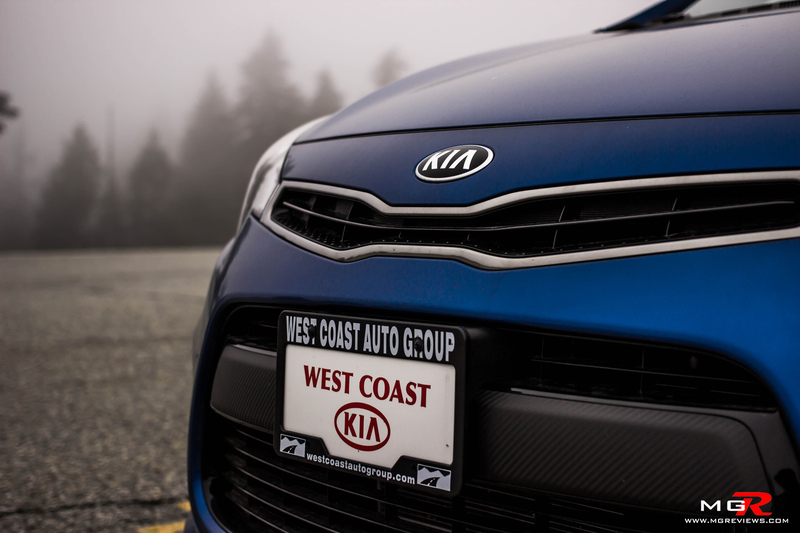 Kia is not known for sporty credentials; in fact some people still think that Kia’s are nothing more than just cheap and basic transportation. 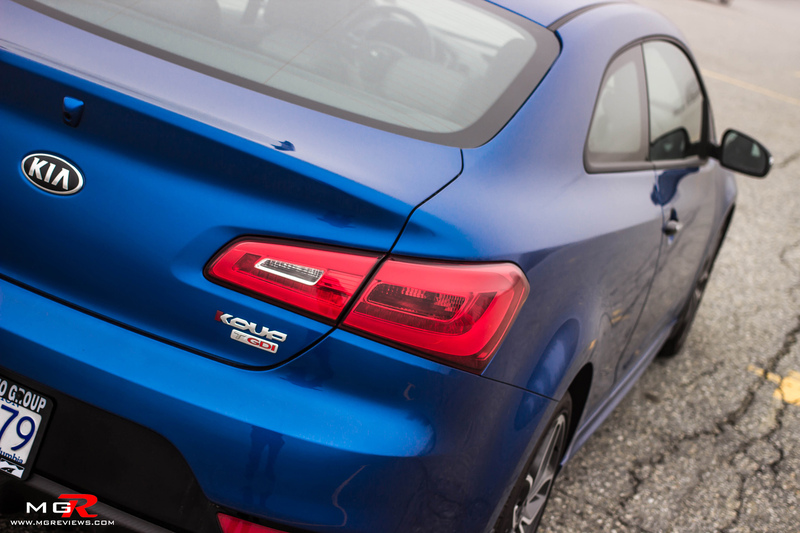 But despite this stereotype, Kia has come a long way in the past decade and has introduced an updated version of their sporty Forte Koup. 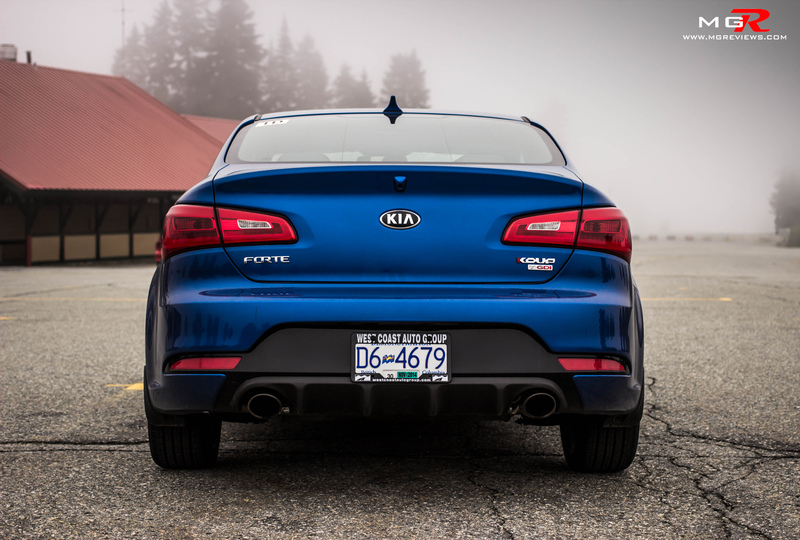 Performance – Underneath the body of this Forte Koup is essentially the same powertrain as the Hyundai Veloster Turbo (Hyundai is the parent company of Kia). 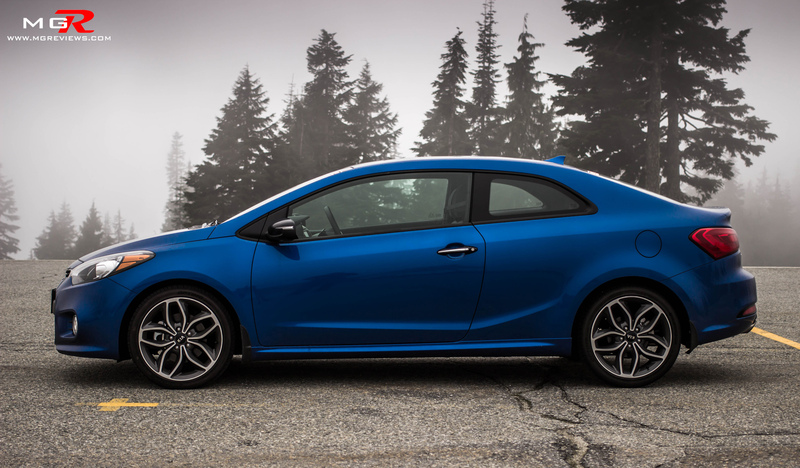 It shares the same 1.6L Turbo GDI (Gasoline Direct Injection) engine which puts out 201 hp and 195 lb-ft of torque. With a small engine like that, you’d expect there to be some turbo lag but there isn’t. 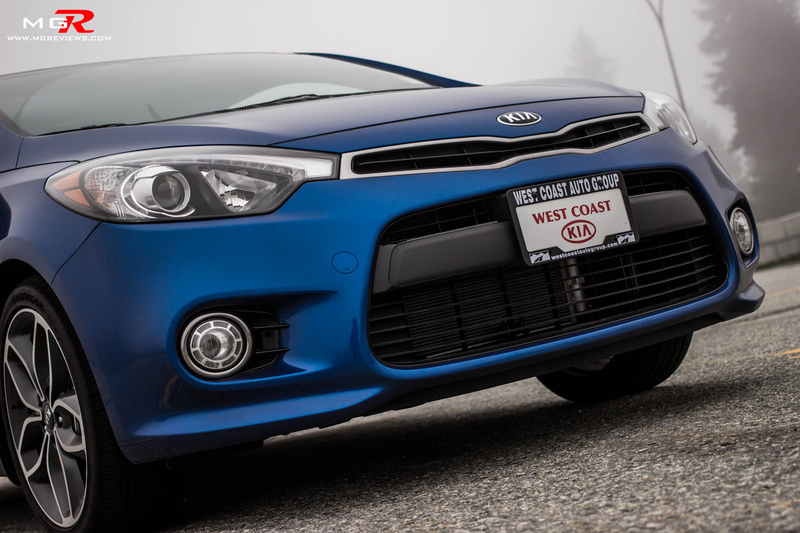 Kia used a twin-scroll turbo to eliminate any presence of turbo lag which means that the throttle response is instantaneous. In addition to the up-to-date turbo and fuel delivery technologies, this engine is also equipped with Variable Valve Timing on both intake and exhaust cams which lets this little motor pull the ~1300kg body in any gear without hesitation. 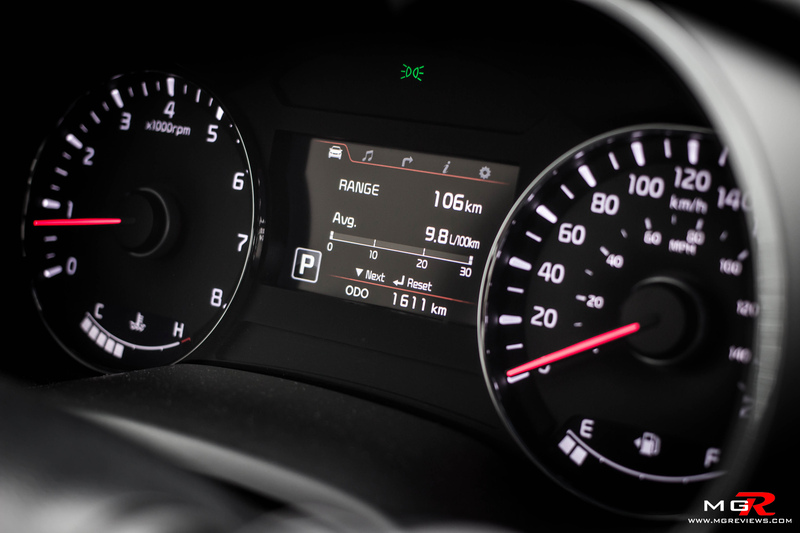 Of course fuel efficiency has not been overlooked as it can return a fuel rating of 9.3L/100km in a city and 6.6L/100km on a highway on regular fuel. 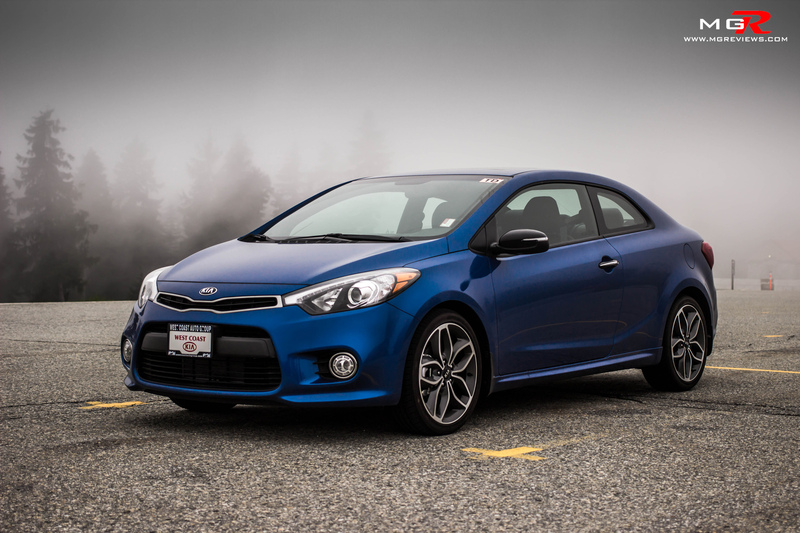 Most turbocharged vehicles require premium fuel to prevent detonation but Kia’s engineers have managed to make this engine run safely on regular fuel saving you approximately $0.15 per liter at the pumps. 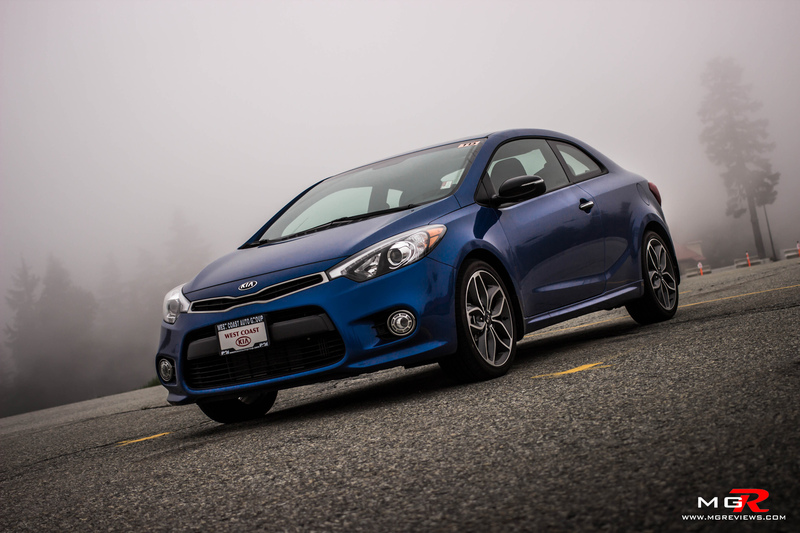 The Forte Koup is available with a 6-speed manual or a 6-speed automatic transmission as it is the case in this test vehicle. Thankfully it is not a CVT like many other manufacturers are choosing to put in their compact vehicles. This traditional automatic does a good job of being smooth under city driving conditions but also being quick when driving enthusiastically. 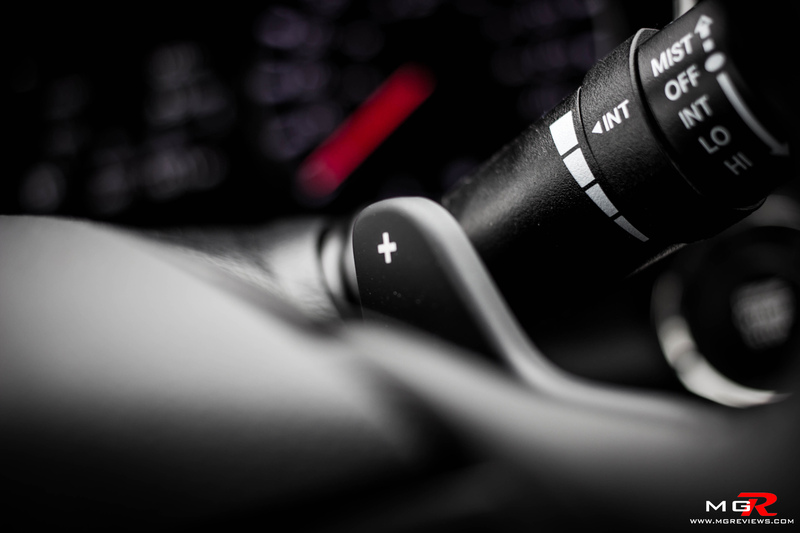 Paddle shifters can also be found behind the steering wheel to further increase the engagement of the driving experience. This top of the line SX model is equipped with thicker anti-roll bars and higher rate springs for better handling around corners. The changes make for a slightly firmer ride (more on that later) but it does limit body roll from corner to corner. 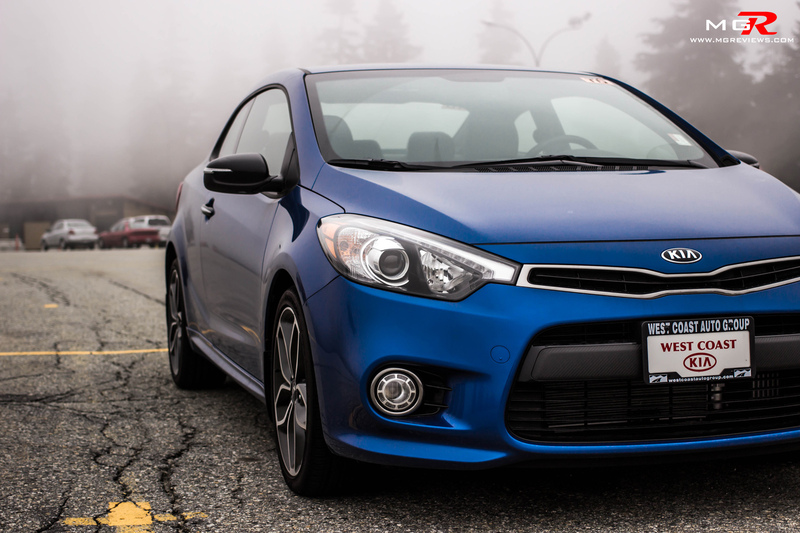 However there is one driving characteristic of the Forte Koup that it seems to share with the Hyundai Veloster and that is when driving quickly over very rough and uneven pavement. 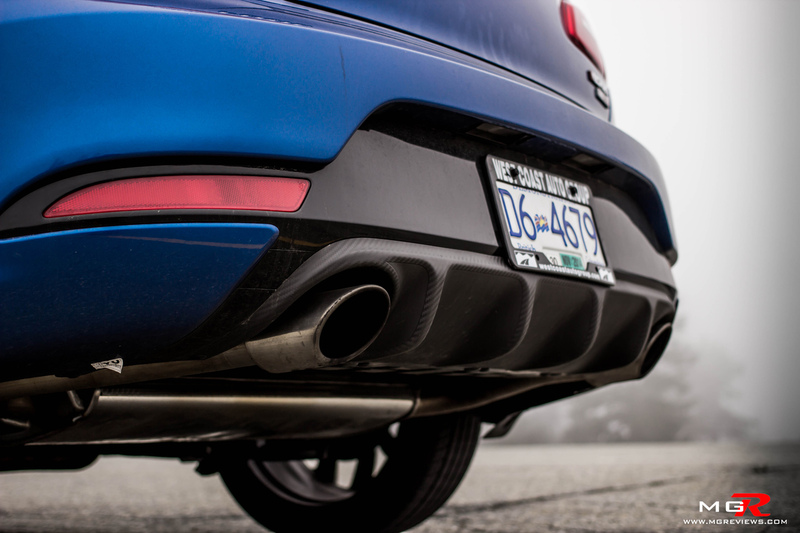 The suspension can cope with a few small bumps here and there but when it comes to rougher roads, the entire car feels unsettled and unbalanced which makes for an uneasy and more cautious driving experience when driving enthusiastically. 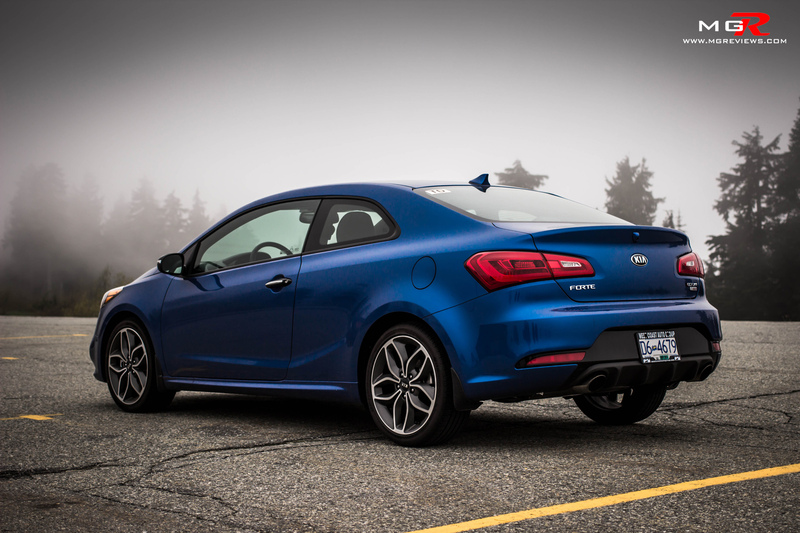 Torque steer is always an issue with high power front wheel drive cars but the clever Kia engineers have managed to completely eliminate it from the Forte Koup. 1st gear, foot hard down on the accelerator, and the car pulls straight without any tugging at the wheel. 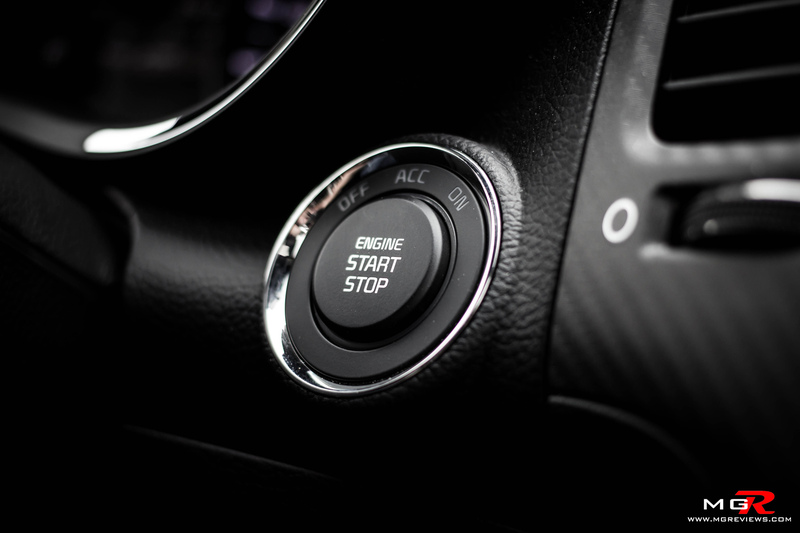 Also the steering feel can be changed via a button mounted on the steering wheel. To be honest, this feature didn’t need to be included because the comfort setting makes the steering feel way too light and although sport mode is better, it still feels too fake. Most people will just leave the steering feel in normal mode. 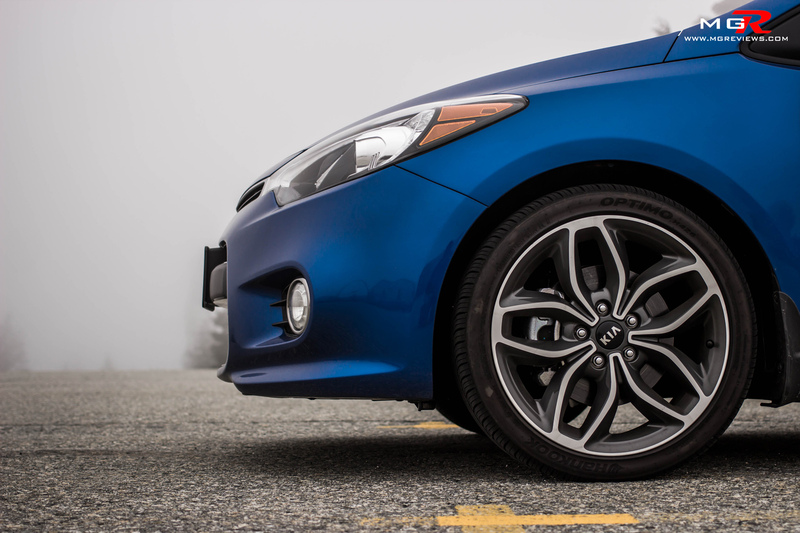 The brakes have also been upgraded on the front wheels to 11.8” to help stop the car more quickly. Comfort – On the comfort side, it’s actually pretty good. The suspension is not too firm, not too soft, just right. The leather seats in this SX version also add to the comfort but they also provide good bolstering to prevent excessive side to side movement. There is a good amount of leg room however taller drivers may want to avoid the sunroof option as it does take away from the headroom. There is also a decent amount of room in the back seats and a large trunk which are rare things to find in a coupe. The cabin is also stuffed with plenty of gadgets to keep the driver and passengers thoroughly occupied on long trips. 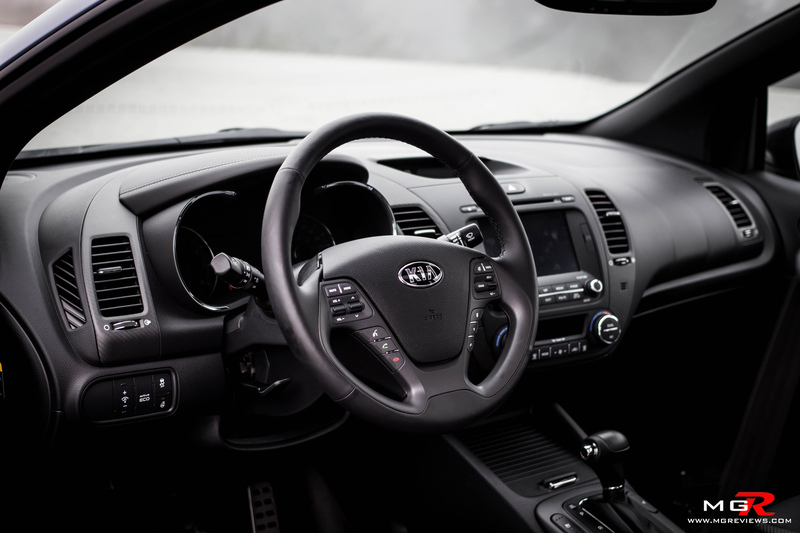 Most notable is the touch screen and satellite navigation located in the center console. Using the navigation is very simple and only takes a few seconds to select a point of interest or enter in a custom address. 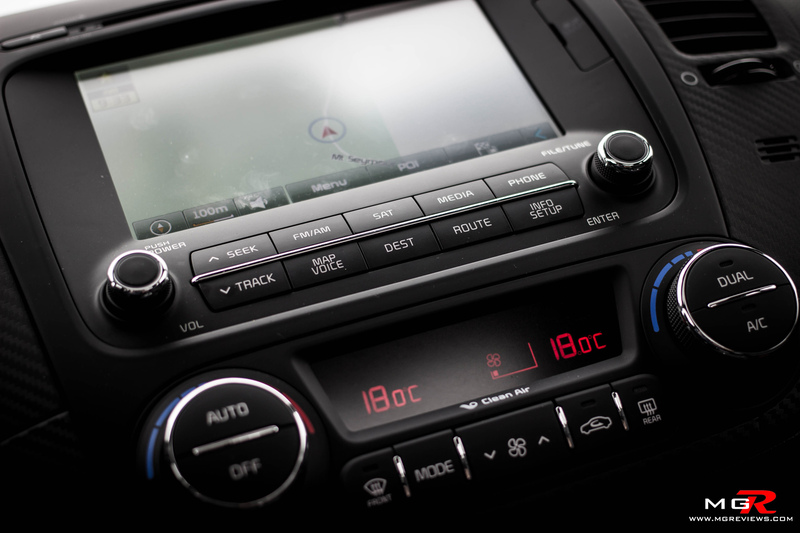 The infotainment system is also capable of being paired with your phone for hands-free talking and it includes a 3 month trial for Sirius XM satellite radio. 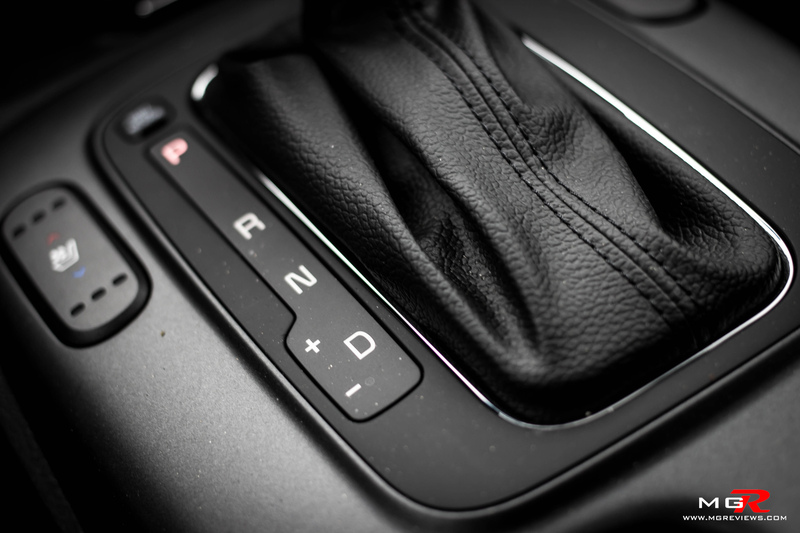 One gadget that I thoroughly enjoyed using was the cooling seat feature for the driver’s seat. 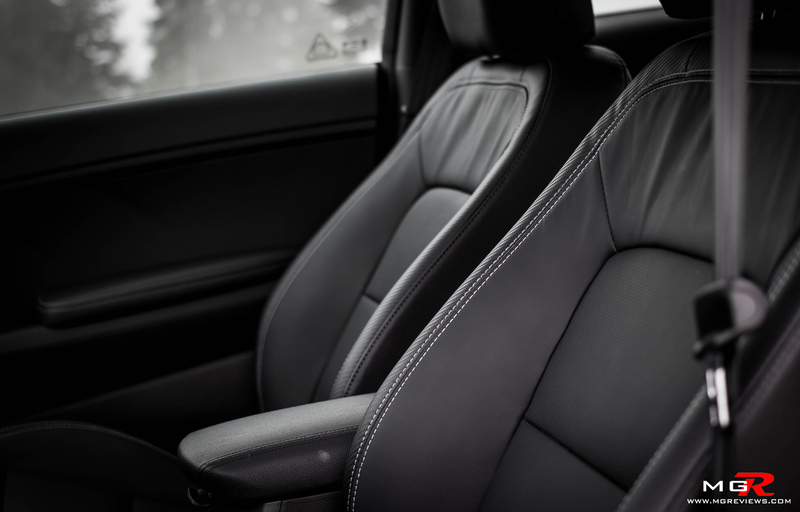 It is only available on the driver’s seat but on a hot summer day with the leather seating, it helps a lot to prevent your back from sweating profusely. 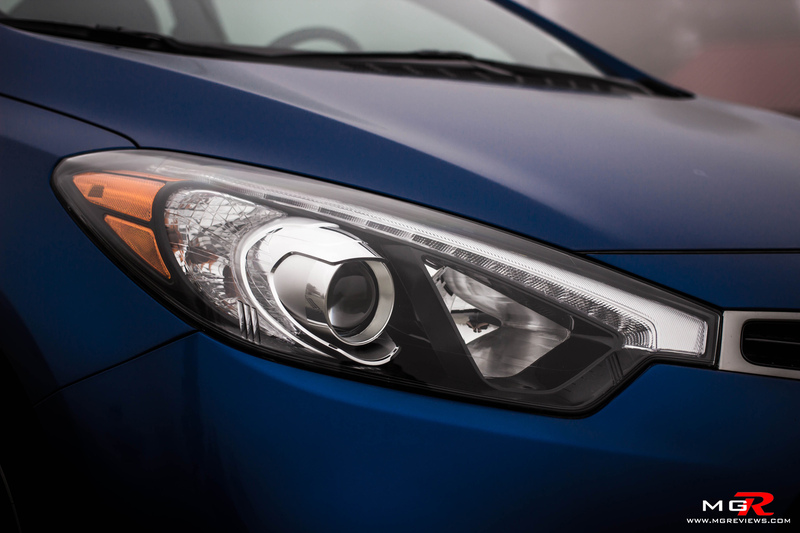 Odds and Ends – Kia has completely redesigned the exterior from the previous generation as well. It no longer looks like a 5 yr. olds interpretation of a car but rather a smooth flowing European design. One thing I don’t understand is why make the LED lights in the front run only as positioning lights and not daytime running lights? I think they would look better as DRLs. 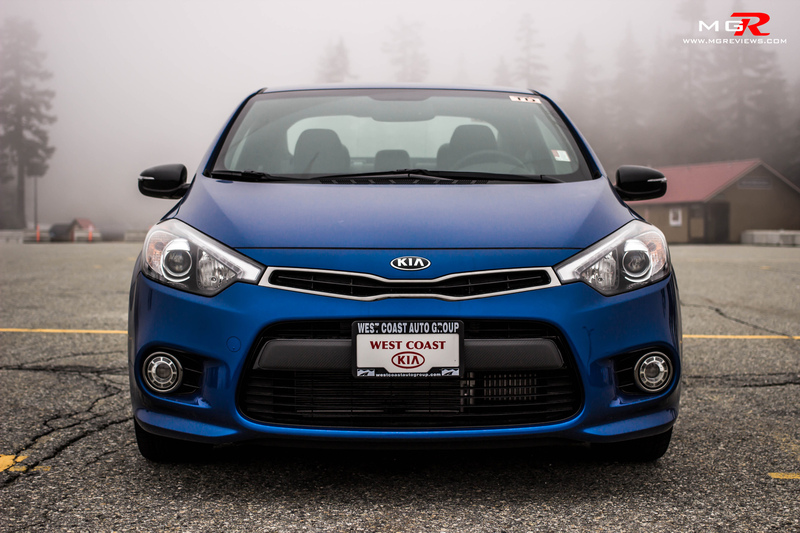 Overall I was pleasantly surprised at the quality of the Forte Koup. 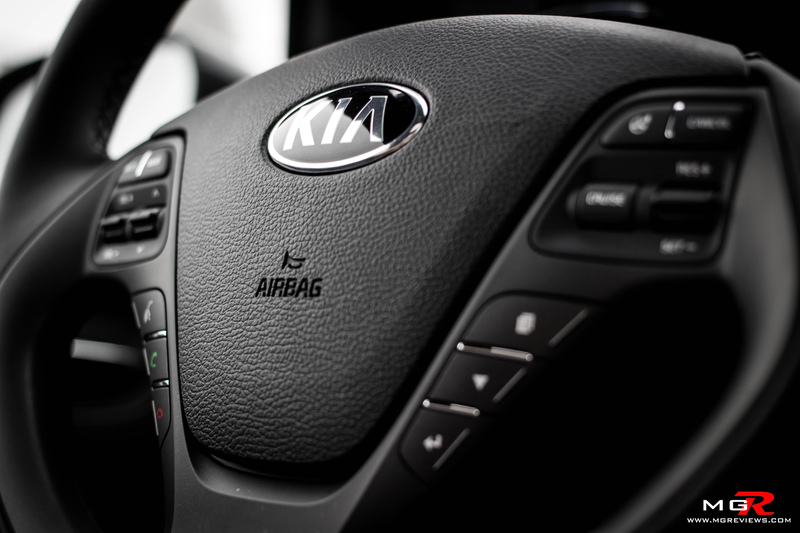 Like many people, I still thought that Kia was nowhere near the quality and refinement of their competition from Japan or Europe, but I was wrong.